Four-time Formula One world champion Lewis Hamilton has signed a new contract with Mercedes which will see him stay with the team until 2020. No figures were given in a Mercedes statement on Thursday, but Hamilton's new deal will reportedly see him earn 40 million pounds (52 million US dollars) per year. "It's good to put pen to paper, announce it, and then get on with business as usual," said Hamilton. "We are on the same wavelength both on and off track, and I am looking forward to winning more." Mercedes has won the past four drivers' and constructors' championships - with Hamilton clinching three of them. But with the halfway point of the 2018 season approaching, the Briton currently trails Ferrari's Sebastian Vettel by eight points, with Mercedes lying 20 points behind Ferrari in the constructors' championship. Hamilton, 33, joined Mercedes in 2013 after six seasons with McLaren, with whom he won his first F1 title in 2008. 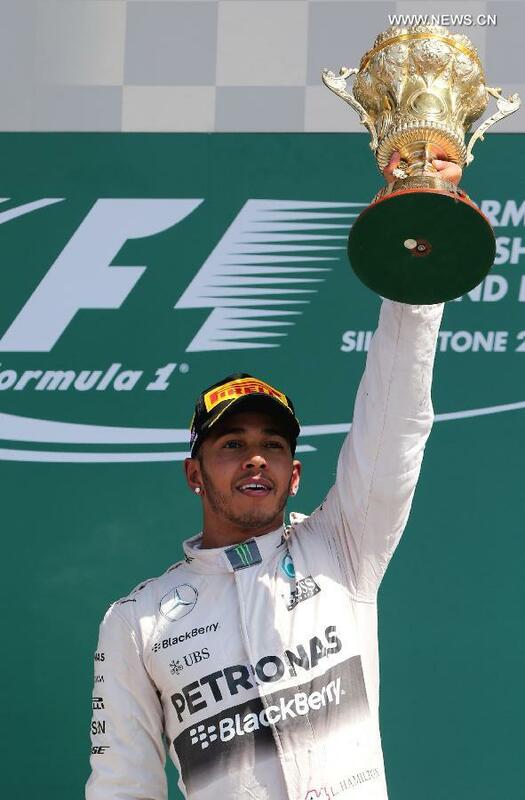 Hamilton has won 65 races - 44 of them with Mercedes - and taken 124 career podiums. His tally of wins is second only to seven-time F1 champion Michael Schumacher's record of 91.